There are many Waste Management companies out there, which can sometimes make it difficult to understand what makes each of them unique. However, the team at Dial A Bin really do feel that our customer service standards and company beliefs make us very different. Last year we announced that we had become a very proud sponsor of the Northampton Saints, and we are always looking for various ways to help support local communities. Our customer service team are always on hand to help provide bespoke quotes, that can be easily requested via our Online Quote Request Form or by simply calling our helpful and friendly team. 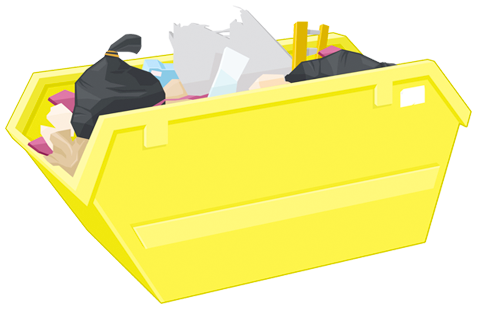 Our experienced team are always very happy to help guide customers through our various waste removal options, such as the most suitable skip size, and are able to provide expert knowledge and experience to all of your queries. Our wide range of domestic and commercial services can be tailor-made to provide you with the most cost-effective and competitive prices. We also love to hear feedback from our customers, why not take a look at some of the positive reviews our wonderful customers have left.